Comment: Need new gutters. Two story w/walk out basement on one side. Garage too. Comment: Need to replace appx 20 feet of gutter and add "corner addition" on side. Comment: need to get the gutters replaced. would like estimates on the leaf protector and the without. please submit the estimate to me via email or phone call. and view property in my absence if unavailable. Comment: Replace or repair gutter as appropriate. May include "gutter guards" and ice dam prevention such as heating elements. Southbury Gutter Cleaning & Repair Services are rated 4.75 out of 5 based on 703 reviews of 16 pros. 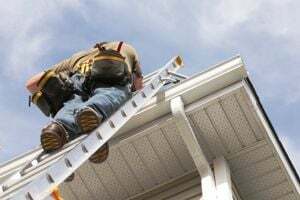 Not Looking for Gutters Contractors in Southbury, CT?